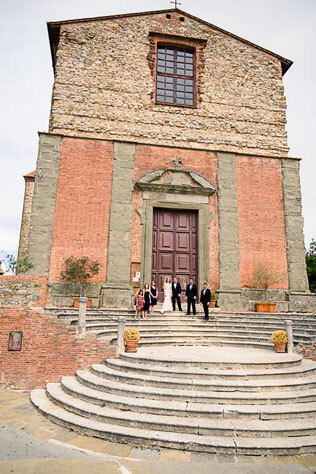 When Jason and Rebecca made the decision to have a destination wedding in Tuscany, Italy, the couple new right away the only way they would be able to pull off the wedding of their dreams would be to relinquish control of the details and go with the flow. 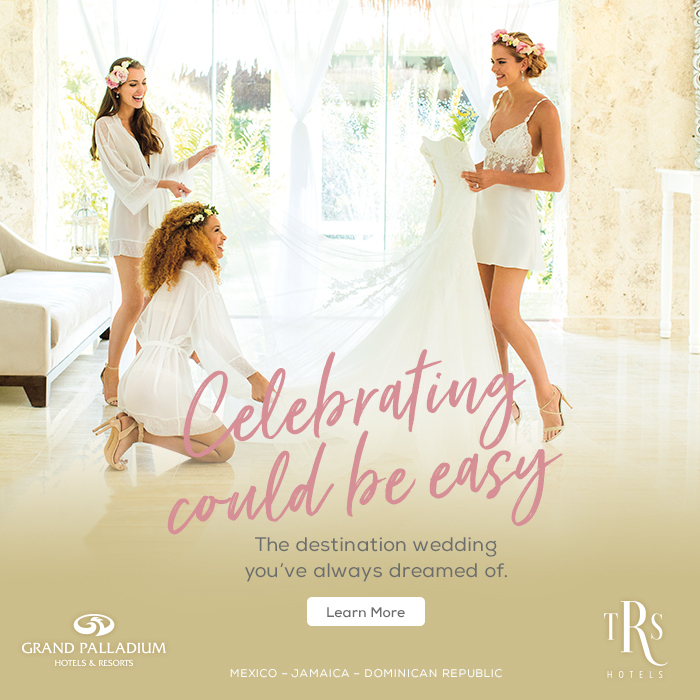 Many couples get caught up in the stress associated with planning a destination wedding. Things can quickly become overwhelming when organizing a wedding in a different country, but Jason and Rebecca did not want to be bogged down worrying over an event which is supposed to be a happy occasion, not a stressing one. “We knew we wouldn’t know exactly what our cocktails would be, how the food would taste, or even what our cake would look like,” the couple said. “Once we were comfortable with the idea that most of the details were just beyond our control, we relaxed and enjoyed the planning process. 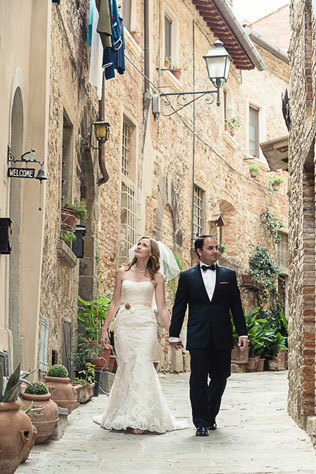 Jason and Rebecca knew with a background like Tuscany, it would be impossible not to have a blast at their wedding no matter how it turned out. One of the reasons why destination weddings are so popular is because couples are looking for a way to travel and give their guests an opportunity to get away from it all – at least for a little while. Friends and family of the couple were eager to travel to Europe and to use the opportunity not only to explore Italy, but other parts of the continent as well. Seeing as Tuscany is a popular tourist destination, guests did not have much trouble organizing transportation to and from the ceremony site. 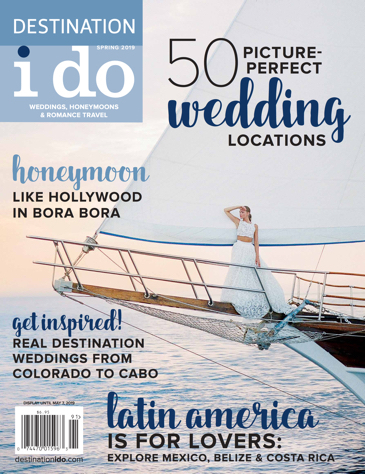 Despite the difficulties DIY brides face when planning a wedding abroad, Rebecca was not willing to pass up the opportunity to include some homemade projects. Hand-sewn travel guides, personalized vintage postage, a veil made by the mother of the bride, hand-made table linens, activity books for the kids, watercolor programs and fans as well as flower arrangements were all projects taken on by Rebecca to create a personalized wedding. 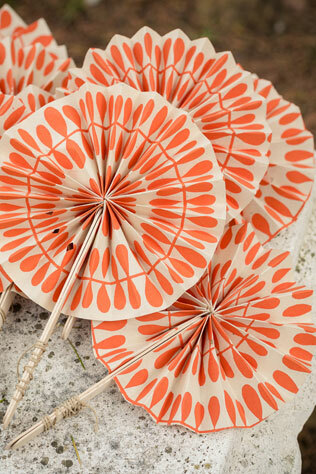 When it came to vendor arrangements, the couple went along with the owner of the villa where their ceremony was held. A single vendor brought food, alcohol, cake, tables, chairs and linens to the villa the day of the wedding without the couple ever having met the vendor. When the vendor arrived, the couple discovered that they spoke no English and none of their guests spoke Italian. While this roadblock may have posed a challenge to some couples, Rebecca and Jason embraced the language barrier and refused to let it hinder their good time. As exemplified by this couple, the key to having a stress-free wedding is not to get too hung up on the details and to just go with the flow. This is the exact mindset every destination couple should have when planning their wedding. “Obviously, our wedding day would have been remarkable regardless of where we did it, but we found that doing it so far away from home made it much more unique and unforgettable,” the couple said.